Helen Link began hybridizing daffodils in 1963 at her home in Brooklyn, Indiana, USA, and has registered almost 50 cultivars with the Royal Horticultural Society, both standards and miniatures. 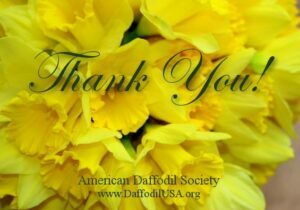 She was a long-time member of The American Daffodil Society and served that Society in many capacities. The records are hand-written, so are not searchable, and have been divided into four parts to keep file size to a reasonable level.